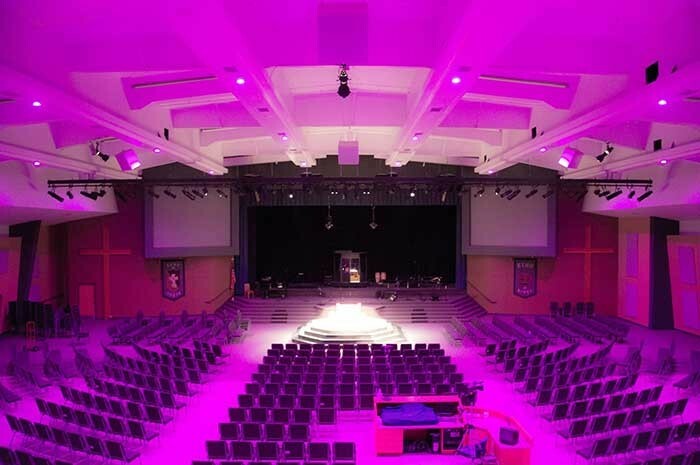 USA – Chroma-Q Inspire Mini energy-efficient, full colour-mixing LED houselights have taken the place of old incandescent fixtures at Maranatha Assembly of God Church in Minnesota and are expected to save the organisation up to $6,500 USD per year in lighting running costs. Stefan Svärd from Minnesota-based Audio Video Electronics (AVE) oversaw the project in collaboration with Maranatha Pastor, Bob Headley and church administrator, David Morley. After impressing the Church by an on site demonstration of the product's lighting capabilities, Stefan conveniently installed 24 of the Chroma-Q Inspire Mini fixtures into the exact holes which used to house the old incandescent lights in the Church’s main hall, using the unit's optional recessed trim ceiling installation kit. This equates to up to a 92.5% reduction in the church's house lighting power consumption. Over time, the resulting savings in energy consumption will pay for the cost of the house lighting upgrade. Coupled with the new creative possibilities provided by the fixtures' full colour-mixing capabilities, it's a win-win outcome for the church. The Inspire Mini provides a choice of beautiful whites, soft pastels and bold saturates – all from one fixture. By incorporating industry standard DMX-512 control, the Inspire Mini is able to integrate seamlessly with an existing stage lighting infrastructure and can be controlled by any DMX-supported lighting console. Available in the Inspire Mini compact version, or more powerful WFX award-winning full-size version, a choice of black or white exterior housing, and a range of beam angles, the Inspire range is suitable for almost any type of entertainment or architectural space – large or small. 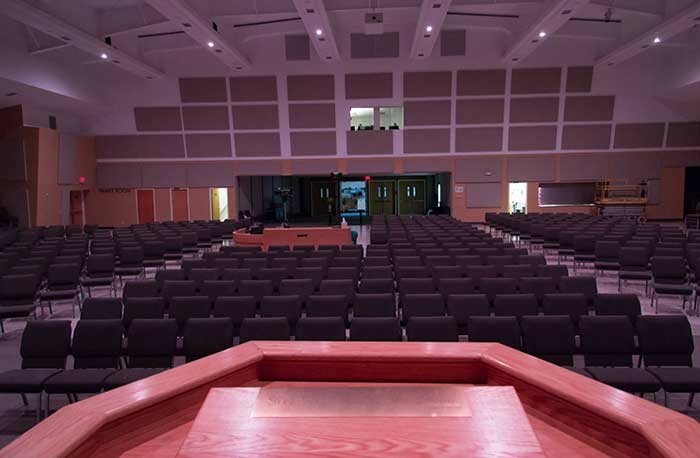 Other recent venues investing in the Chroma-Q Inspire house light fixture include the Celebration Church house of worship in Jacksonville, Florida, the Valley Creek Church in Texas, and the historic Pieterskerk building – formerly a Church – in the Dutch city of Leiden.